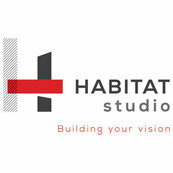 We hired Habitat to build our vision and they delivered a superb product. Habitat finished our house on time and under budget which was impressive. Habitat Studio handled a complex custom home project with the utmost professionalism.